Loved seeing old friends and making new ones at last night's holiday block party! Woah- did we have a fun night at the Hayes Valley Holiday Block Party! We loved hosting some of our favorite vendors for a mini pop up. It's always fun to meet the artists and shop an expanded selection of their wares. Such a great way to kick off December! If you missed it, check out our website for holiday gifts or stop by the shop where we are receiving new merchandise everyday! 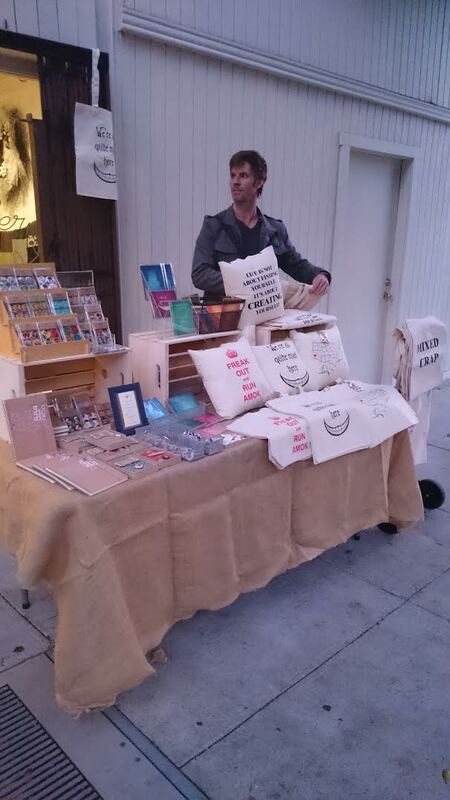 Mattias from Blue Gnome set up in front of the shop! Sasha slinging her beautiful cards!